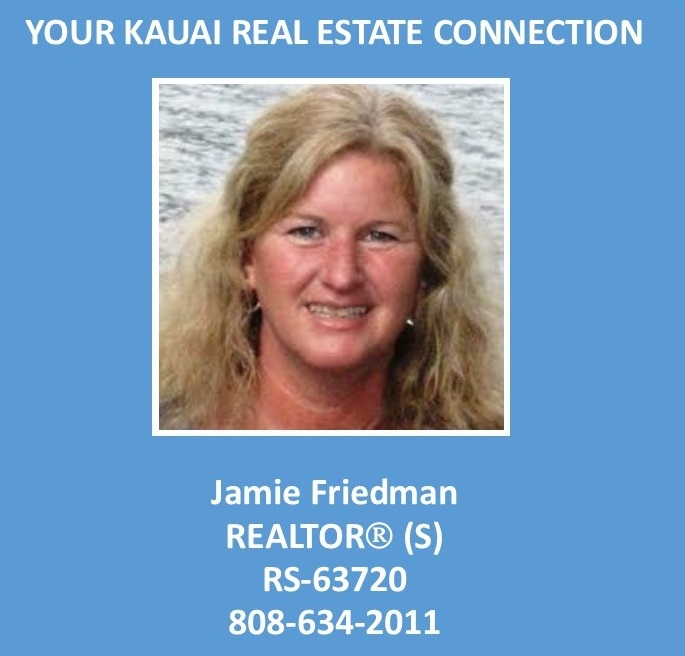 Aloha and Welcome to your ONE STOP shop for All Kauai Real Estate! BEST Kauai MLS real estate search website for homes, condos, land, investment, vacation, and foreclosure properties! It is the only site you will ever need! It is easy-to-use and updated by our MLS, aka the official Realtor®’s database, every 15 minutes. For condos, I created quick condo searches by complex name - Instant access to today's listings! Curious about what’s happening in your neighborhood? You can instantly create a Complimentary Custom Market Report to see what’s active, contingent, and under contract in your neighborhood! Click here for instant information. Request an INSTANT personalized property valuation now! Contact Jamie today to find out how we can be of assistance to you!